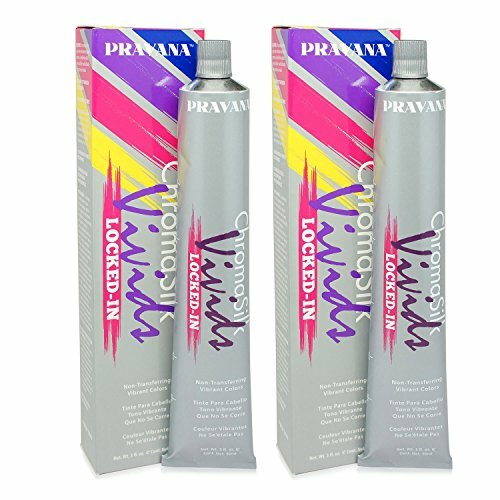 Pravana Chromasilk Vivids (Locked in Blue) is the best hair color correcting dye that enhances the natural oils in hair while providing long lasting color. This product is specially designed to dye hair to the wanted color, while also making hair feel soft, smooth and shiny. This hair dye provides intense color without damaging hairs natural follicles. Pravana provides luxurious hair care colors and products for high-end salon professionals for low costs. Their team thrives on providing its' customers with all natural hair products using the most natural ingredients available to the beauty industry. Pravana's hair care and hair color products are always free of parabens and sulfates to leave hair moisturized and full of color and volume.